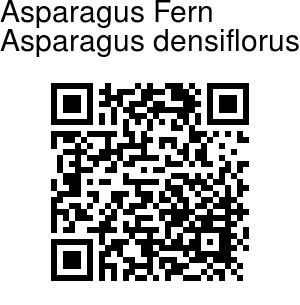 Asparagus Fern is a weed native to South Africa, which is very commonly used as an ornamental house-plant. It is an evergreen perennial herb emerging from a crown of tuberous roots. 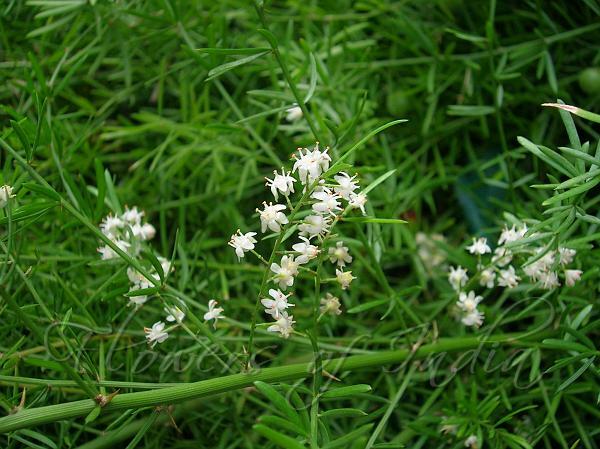 It is a drooping, bushy plant usually only to 2-4 ft tall, and several feet wide, with stems stiff or spreading-arching. Larger branches usually bearing minute axillary spines. Branchlets (cladophylls) are flat, needle-like, light bright green, to 1 inch long, clustered at branch nodes. Leaves tiny, scale-like, at bases of branchlets. Flowers small, white or pinkish white, and fragrant. Fruit is a bright red berry about 8 mm in diameter; 3 seeds per fruit. Identification credit: Shaista Ahmad Photographed in Delhi & Imphal.